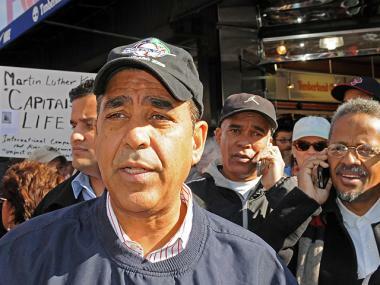 State Sen. Adriano Espaillat has formed a Congressional exploratory committee. MANHATTAN — State Sen. Adriano Espaillat has taken the first step in his bid to run for Congress, paving the way for what could be a bitter showdown between black and Latino voters in Upper Manhattan. Espaillat announced an exploratory committee for a Congressional run Sunday — the first official step in a run that could make him the first Dominican-American congressman in the nation. It also puts Espaillat on a collision course with Rep. Charles Rangel, whose historically black district has become increasingly diverse in recent years. Espaillat said that increasing the Latino population in Rangel's district instead of creating a separate seat next door was a recipe for disaster. "[It's] basically setting the groundwork for 20 years of nuclear political war," he said speaking at Rev. Al Sharpton's House of Justice in Harlem, according to video of his remarks posted by Capital New York. Rep. Charles Rangel's Congressional District has seen a significant demographics shift. Espaillat's announcement comes as he and other advocates continue to lobby for the creation of a new majority-Latino district — spanning Washington Heights, Inwood and sections of the southwest Bronx and Queens — as the state’s lines are redrawn in response to the 2010 census count. Their plan would retain a majority-black district that would link a small stretch of Harlem with the Bronx and Westchester, where Rangel would presumably run. But the proposal has so far been rejected by the federal judge tasked with redrawing the lines after legislators failed to reach a deal. Under the plan released last week, Rangel's district's would remain anchored in northern Manhattan, but its population would shift to majority-Hispanic for the first time. The judge is set to release a revised version of her lines Monday. "This is a historic opportunity for the state of New York to send a clear and unmistakable message that the growth of the Latino community demands that our government reflect our diversity,” said Espaillat, who spent 14 years in the state Assembly before taking over Attorney General Eric Schneiderman’s state Senate seat, in a statement. Bronx Borough President Ruben Diaz Jr. agreed that Rangel's district should stand. "We believe in the Bronx that the district that is represented today by Charlie Rangel and that was represented by Adam Calyton Powell before him, should continue in the future to be represented by a black individual in the City of New York," he said. A spokesman for Espaillat said it is still too soon to know what the lines will look like when candidates begin collecting signatures on March 20. "While it’s premature to target one particular district, given the fact that final district lines have not been settled, launching this exploratory committee is an important step in making sure we are ready, when the final district lines are established," Espaillat said. The seven-person committee includes Washington Heights power broker Maria Luna and Rev. Calvin Butts III. 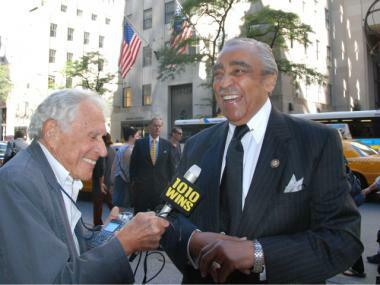 Rangel's campaign spokesman declined to comment.